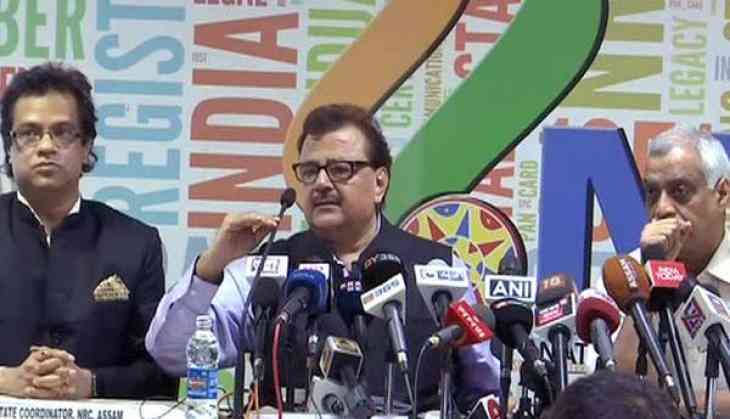 State NRC coordinator Prateek Hajela said that nearly 2.89 crore people, out of 3.29 crore applicants, have been found eligible to be included in the register. "Both Assam Chief Minister Sarbananda Sonowal and Union Home Minister Rajnath Singh have assured that those who do not find their names in the list would get ample time to get it rectified and adequate opportunities would be given for filing claims and objections. The first draft was published on December 31 and the names of 1.9 crore of the 3.29 crore applicants were incorporated," said Hajela, while addressing the media, along with Registrar General Sailesh and Satyendra Garg, joint secretary (NE) of the Ministry of Home Affairs. Critics see the recount as a move to target the state's minorities on the pretext of rooting out Bangladeshi migrants. But the accord, signed by then prime minister Rajiv Gandhi in 1985, mentions that those who cannot prove that they came to Assam before March 24, 1971, will be deleted from electoral rolls. When asked as to when the final NRC list will be out, MHA joint secretary (North-East) Satyendra Garg stated that "This is a difficult question at this time as we don't know how many claims and objections will come in. It is a crucial process. Based on this draft there is no question of any reference to Foreigners Tribunal or any person being taken to the detention centre". The Ministry of Home Affairs (MHA) on July 25 asked the Assam Government and its neighbouring states to ensure maintenance of law and order in the run-up to and post-publication of the NRC draft.